I know that designers want to make the best use of Material Design when building their apps, and in order to do that, they are constantly looking for the right color combinations. Unfortunately, the only way to find those colors is with digital tools, which makes you feel chained to your laptop and like you’re missing the point of Material Design. I believe graphic designers should be able to design with their hands — anywhere. If you use material design, you understand better than most that inspiration can’t always come from looking at a computer screen. When I started looking into conforming with Google’s design standards, I fell in love with how they started their design process. They pulled out card stock, set up lights, and created icons. And the colors sort of… appeared. I was left wondering, “How did they come up with those colors?” Material Design does have its own color palette, so do they have a swatch deck of some kind? Not that I could tell. I scoured the internet, and couldn’t find anything of the sort. So I decided to make a deck of cards to fill the brainstorming void. 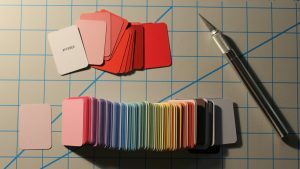 256 individual color cards – There are 256 colors in the Material Design color palette, and each color has its own card. The entire front face is the card is a solid color. 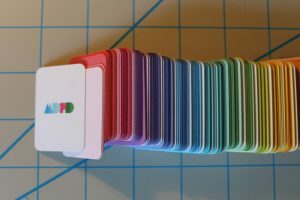 Hex code on the back – The hex code of each color is on the back of every card, so that once you settle on a color palette you like, you can flip them over and build your app. Ultra portable – The cards are much smaller than poker cards, and you can carry them all in the box it comes with, with dimensions 3.5in x 2in x 1.25in. 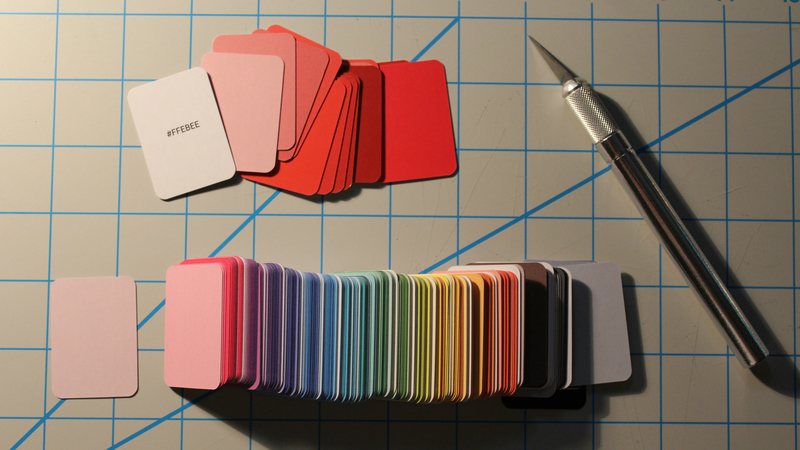 You can now brainstorm new color palettes anywhere, because inspiration doesn’t always strike while you’re on your computer. So back the Kickstarter and start designing and experimenting with your hands. 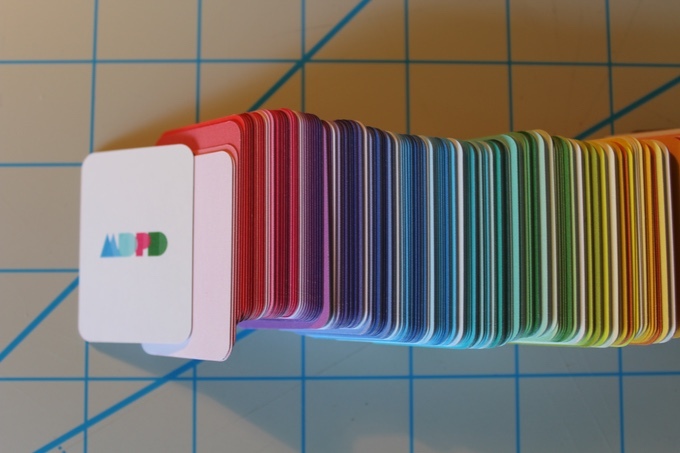 And while you’re anxiously waiting for your MDPD to arrive, follow the project on Twitter for updates and check out the rewards and pics of the deck on the Kickstarter page. Nice post and thanks for sharing the ideas with us and will be looking forward to see more from you in the future. Thanks for the post, very helpful article for me. Wow, this idea is awesome!